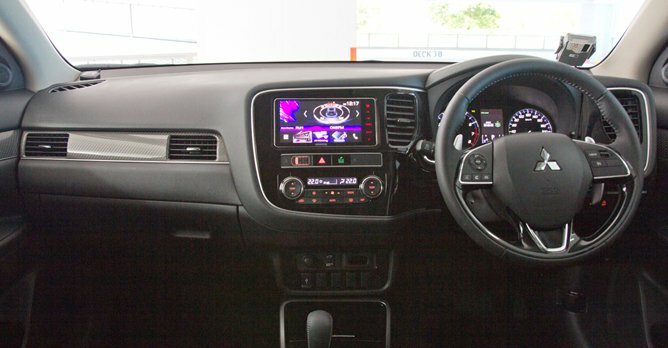 The Mitsubishi Outlander is a car that you may not take another glance and it's not hard to see why. First off, it has been on the road for almost four years. Secondly, you'd probably pass it off as another one of those usual SUVs. After all, the popularity of this genre of cars has grown quite significantly. But before you miss another Outlander on the road, take a look at this one here and you might just change your perspective. It still looks the same? Not quite. There are subtle changes in terms of looks. Mitsubishi has thankfully lessened the use of chrome and swapped it with new matte silver trims. Also in are new head lights with black inserts and slight tweaks to the bumpers. 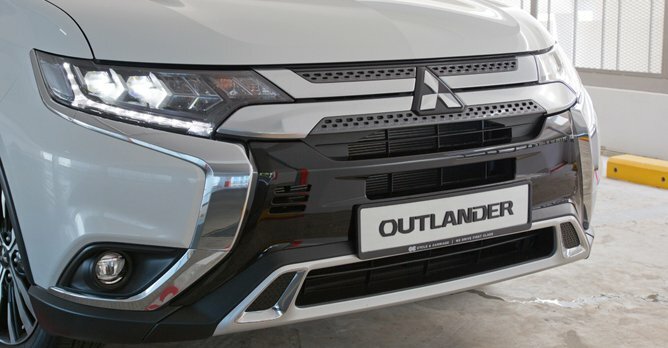 These are welcomed changes, and it gives the Outlander some much needed robustness in the looks department. The changes are skin deep, literally. 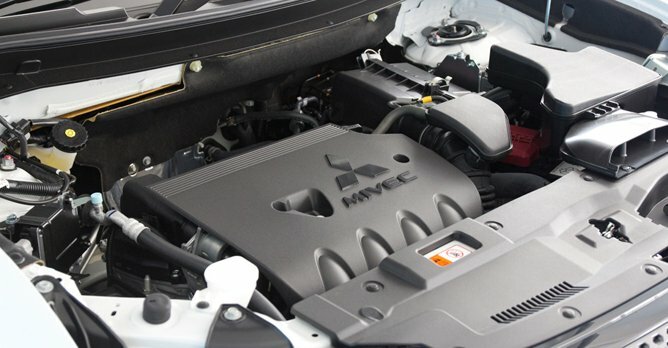 The Outlander is now available for the first time here with a 2.0-litre engine and front-wheel drive. 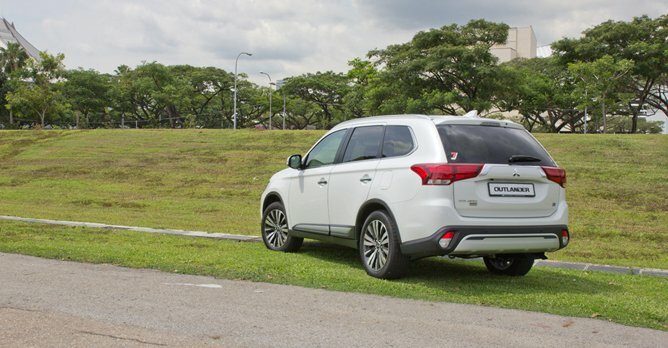 The 2.4-litre four-wheel driven variant is still available, though. And despite sporting a smaller displacement capacity, the Outlander does well in munching tarmac. Do not be fooled by the numbers. Although the naturally aspirated 2.0-litre pushes out a modest 148bhp and 190Nm of torque, the Outlander has no issues keeping up with the pack. You may expect that the downsized engine will protest audibly with the slightest hint of throttle, but instead the Outlander just responds obediently. Having two lesser wheels to feed also benefits the steering, which feels lighter. Also lighter is your mental state of being, as the relaxed driving position helps you take away the stresses of driving. The interior, is it no frills? Simple is the name of the game. Mitsubishi didn't try to trick everyone by dumping in all the latest gizmos that may look good on a spec sheet. Instead, it makes sure the basics are done right. 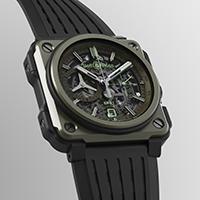 Rather than having a swanky gearknob, there is a simple, familiar one. Air-con? Actual buttons. 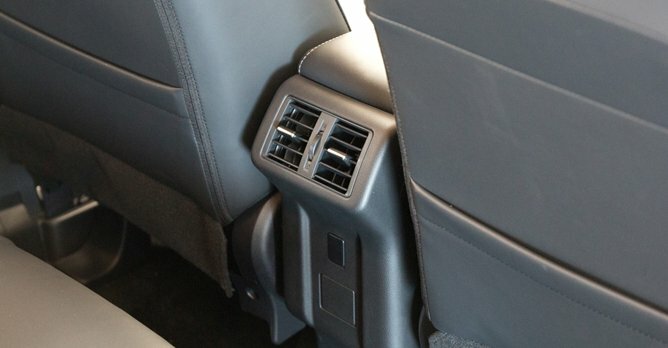 Handbrake is electronic, and so are the front two seats. The Outlander is built to last, and doesn't muck about with all your fancy gizmos. We like that a lot. The Kenwood head unit, on the other hand, is everything but simple, though. During our time with the car, it was seemingly impossible to connect to Bluetooth, and GPS functions were tricky and in low resolution. The upside is that it can easily be swapped for an aftermarket unit. 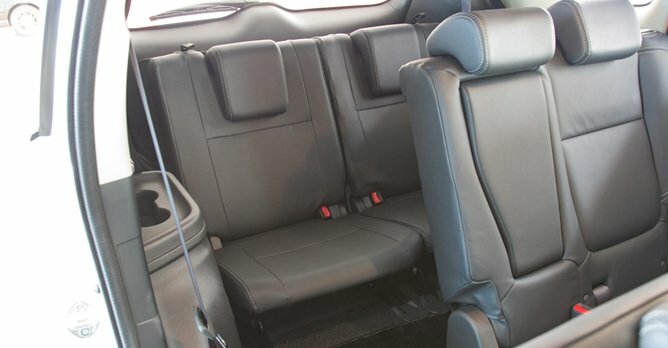 The third-row seats, as with most seven-seater SUVs, are best left for children. But hey, if you need to ferry those pesky colleagues, get them in there. Drop the seats flat and you'll have 591 litres of boot space. We can definitely see how the Outlander is a hit. If you have a growing family and would like to step away from the usual MPV offerings, take a good look at this. Instead of looking like another family mobile, the Outlander hides its family swallowing, seven-seater abilities in a cool SUV suit - without dealing with an SUV drivetrain. And it is a proper, tailored SUV suit, not some smart casual crossover look, a rarity these days. And with the entry-level Modern trim setting you back by $106,999, and the Style here at $112,999 (as of 28 November 2018), you will be hard pressed to find anyone else that dresses this well.